Reading at 19:00 followed by a performance lecture by Hanni Kamaly. Welcome to the release of the publication YOU KNOW IT’S ALL REAL to Hanni Kamaly’s exhibition IT’S ALL REAL YEAH COME THROUGH at Skånes konstförening. Newly written texts by Iman Mohammed (poet, Malmö) and Hanni Kamaly herself as well as a preface by Joa Ljungberg (curator, Malmö), Albin Hillervik and Anna Wahlstedt (Skånes konstförening). In connection to the release, Iman Mohammed will be reading newly produced poetry from the publication and there will be the performance lecture THIS MEMBER THE BODY by Hanni Kamaly. Folköl is available for purchase on site. In her artistic practice, Hanni Kamaly explores human consciousness, subjectivity and dehumanization by investigating how representations of the human body relate to notions of racism and colonialism. Kamaly’s process is research-based and examines news events, science fiction, museums and postcolonial theory, as shown through her sculptures, video works and performance pieces. IT’S ALL REAL YEAH COME THROUGH can be seen at Skånes konstförening until the 10th of December. 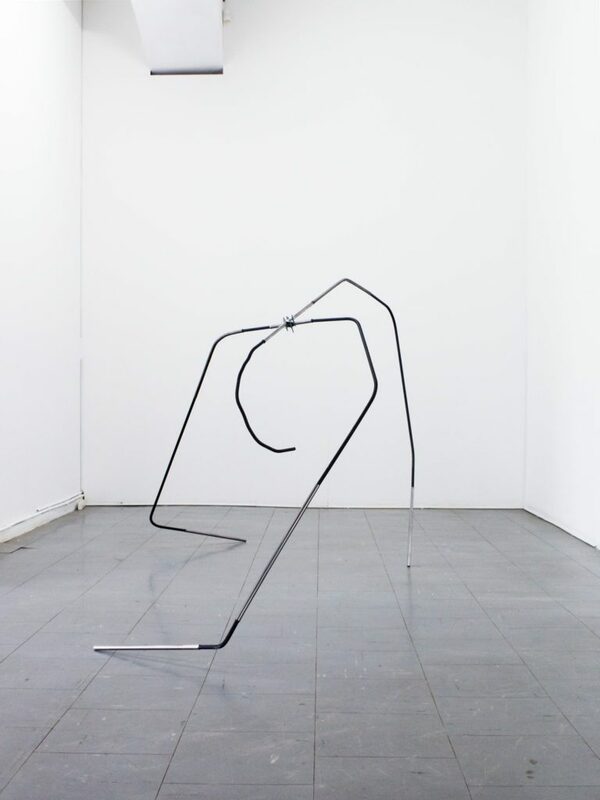 Hanni Kamaly is the recipient of this year by Sven and Ellida Hjort’s exhibition grants. The grant is given to to the artist as well as a paid production for an exhibition at Skånes konstförening. A committee appointed by the board at Skånes konstförening chooses the recipient. The committee of 2017 consisted of Albin Hillervik (Skånes konstförening), Thore Sonesson (Skånes konstförening) and Joa Ljungberg (Curator, Moderna Museet Malmö). Editors of the publication are Hanni Kamaly, Albin Hillervik and Anna Wahlstedt. Thanks to the writers, Felix Löf, Laura Hatfield, Louise Waite and Svanströms Repro.